Well, Hanukkah starts tomorrow night (Dec. 1), but Retrogrouch has sworn off potatoes and fried foods in general. I have a nice bag of turnips, and we both like that delicious Chinese turnip cake that’s part of many dim sum spreads, but meh. I eat latkes once a year and a turnip cake just isn’t gonna cut it. I could provide you with my (rather stellar, if I do say so myself) latke recipe that features purely, freshly squoze potato starch and microplaned juicy onion, but it’s too depressing. If the thought of stinking up your kitchen doesn’t appeal, come to The Beagle for homemade latkes (potato pancakes) every night of Chanuka, starting tomorrow! There’ll also be a hanukkiah on the bar, just like home. Our hanukkiah (a.k.a. menorah) is buried in the Christmas decoration boxes (yeah, yeah, I know), so it won’t be like home. But I bet their latkes are good. Unless there’s too much onion. Bah humbug. I need an injection of holiday spirit, since these Candy Cane Joe-Joes aren’t cutting it. 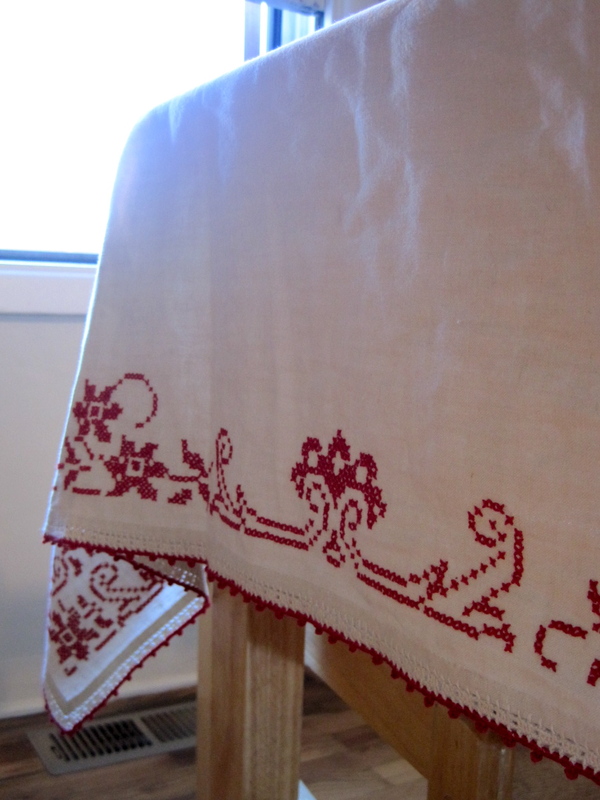 gifts from the kitchen class dec. 1 — don’t delay! I’m very pleased to announce a fledgling non-profit organization, the Food Preservation Associates. We’re a new group of former Lane County Extension Master Food Preservers working to (1) provide food safety and preservation education to our community, and (2) help the effort to bring Extension back. And you can help by showing your support…and learning! 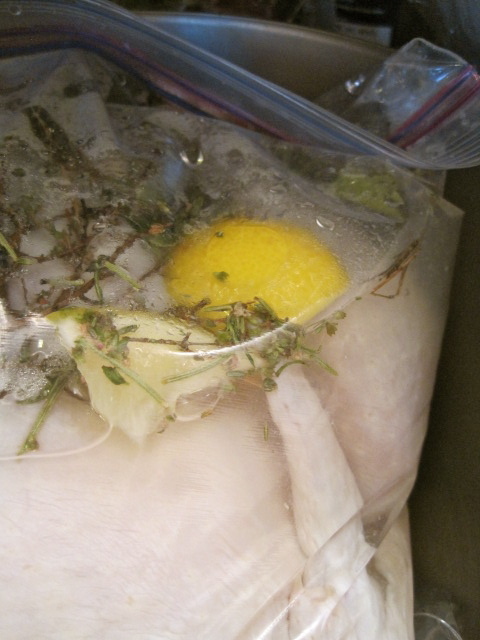 Our first class, Gifts from the Kitchen, is headed by talented craftswoman and baker Barbara Biggs and assisted by the FPAs, whom I am sure would be happy to answer your questions about food preservation and other holiday cooking. When: Wednesday, December 1 from 6 to 8:30 p.m.
We’ll be doing baked goods, spiced nuts and brittle, gifts in a jar, and an impressive range of wrapping and packaging with cost-efficient materials. 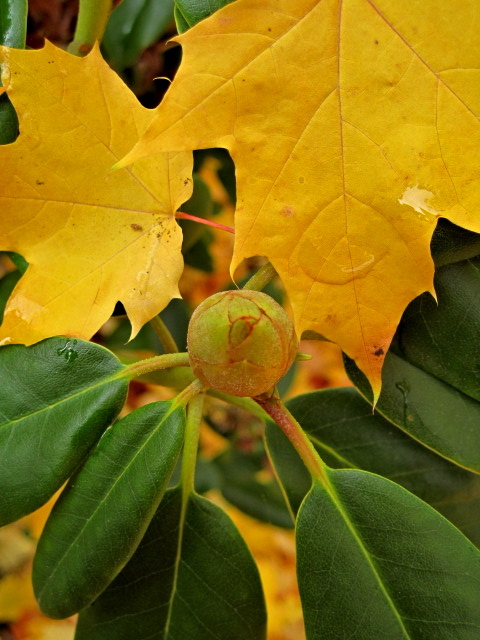 This has been historically one of our most popular classes, so please join us! Please call and reserve your spot. Send your checks, made to Food Preservation Associates, to P.O. Box 370, Walterville, 97489. I have more news and will be providing an update after the class with everything I’m allowed to say…but I’ll just tell you know that I’m thrilled by the efforts of Laura Hindrichs and all the amazing MFP volunteers I’ve grown to love over the past few years, and the community backing we’ve already been receiving from supporters like Adam Bernstein of Adam’s Sustainable Table. Since I’m not furiously cleaning the house for guests for the first time in a while, I’m very happily available for photo opportunities, so I thought I’d share some of my No Turkey But None of that Vegetarian Crap Thanksgiving For Two preparations. 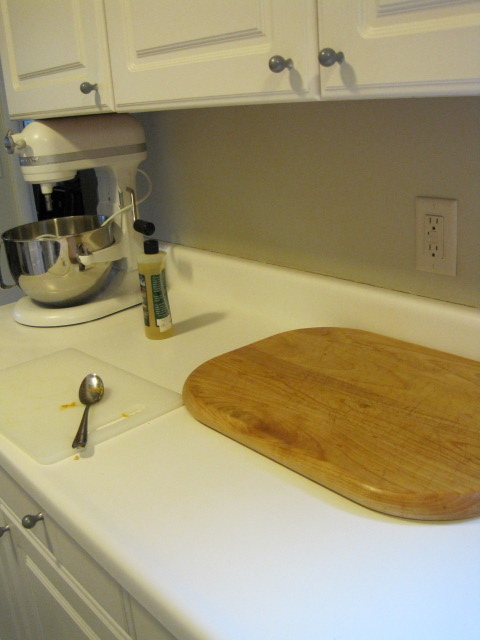 This blog, unlike my kitchen, is a no schmaltz zone. Freezer yields reserves for the gravy stock. Counter back in business, guest-starring two ruby pears picked and delivered by my neighbor, who requested only a sheet of parchment paper, four cloves, and 1/2 cup of corn oil in return. Vinaigrette by Retrogrouch. Defrosting fresh cranberry juice for my Thanksgiving vodka-cran…come to Mama. 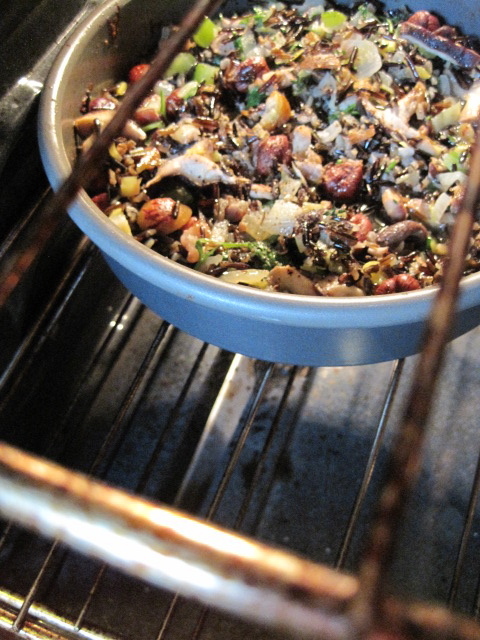 Oven in action: wild rice stuffing with wild mushrooms, chicken leg confit, chestnuts, hazelnuts, and wild mushrooms; bratwurst that I am pretending is kielbasa, and butternut squash with truffle butter. 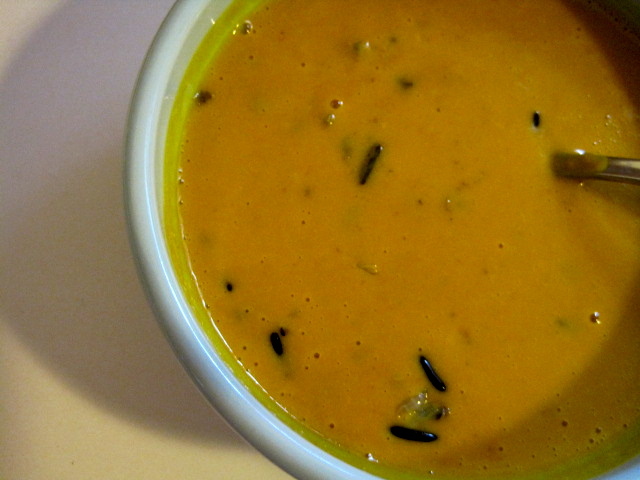 Eating kabocha wild rice soup for lunch. 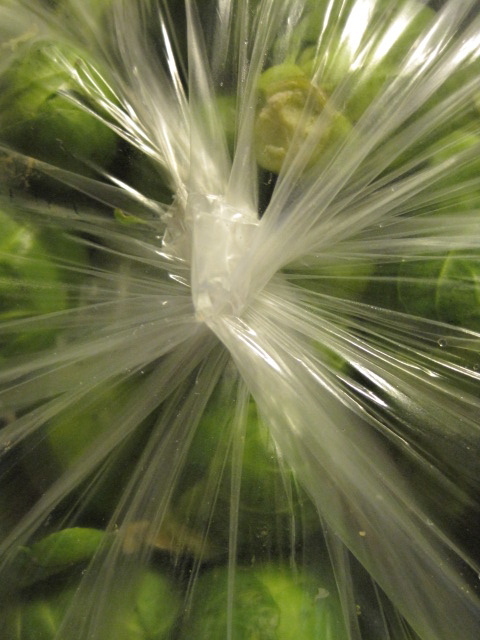 Masses of Brussels sprouts yearning to be free. 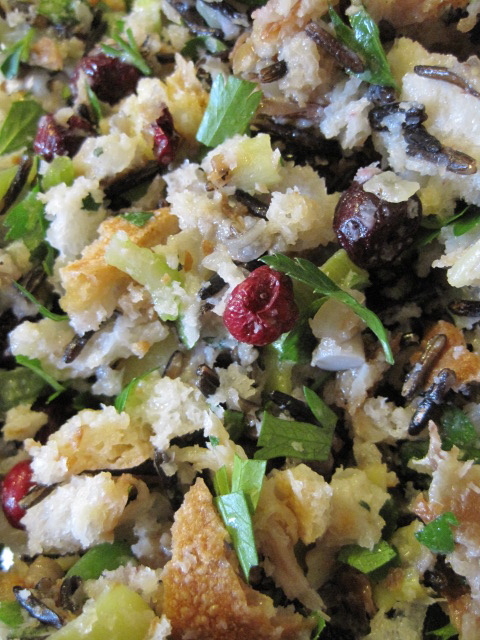 Bread and wild rice stuffing with local dried cranberries, chicken confit, and leeks waiting for the oven. Thank you for your participation in our Thanksgiving meal, and hope yours was delightful! Can’t face cooking on Thanksgiving 2010? Venture out to one of the restaurants open on Thanksgiving while the rest of the town shuts down and the wild turkeys roam free in gangs up and down Willamette. 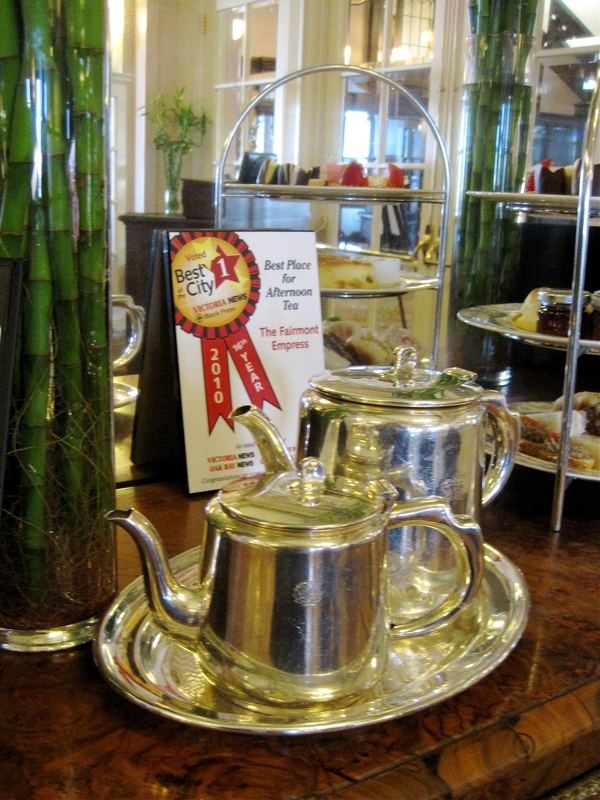 Try one of the spicy tofu soups or my favorite beef short ribs soup at Café Arirang. Korean on Thanksgiving sounds great to me. Check out the special Thanksgiving menu at newly-relocated and newly-omnivorized Ratatouille. This might be a great option for vegan friends, too. What else is open? Please pimp your favorite venue in the comments below. Elin England, Eugene author of the locavore cookbook, Eating Close to Home: A Guide to Local Seasonal Sustenance in the Pacific Northwest, requested a recipe for a soup I mentioned a while ago, a thick, hearthy vegetarian winter squash, parsnip, and barley potage served at a friend’s Halloween party. It would be a welcome addition to the Thanksgiving table (or perhaps an after-Thanksgiving detox?) and good for any day that threatens snowflakes. 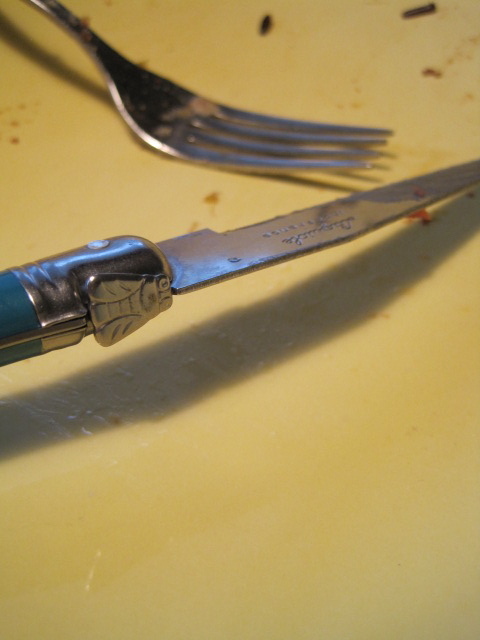 We ate the soup with a grating of romano cheese and some black pepper, while munching on nutty pumpkin seeds. The cheese adds umami, the savory “fifth taste” that balances out vegetarian one-pot suppers. As an alternative to cheese, I’d suggest adding bacon or a drizzle of smoked paprika oil or truffle salt. I might even dry-roast the barley before adding it to the soup by warming it up on a cast iron pan until just very ever-so-slightly browned. If you can’t find pomegranate vinegar, a good substitute is apple cider vinegar or a slightly sweeter vinegar, such as Riesling vinegar. optional: parsley, chile powder, crème fraîche, grated romano, etc. Heat olive oil in a medium-sized pot on medium heat, and add leeks. 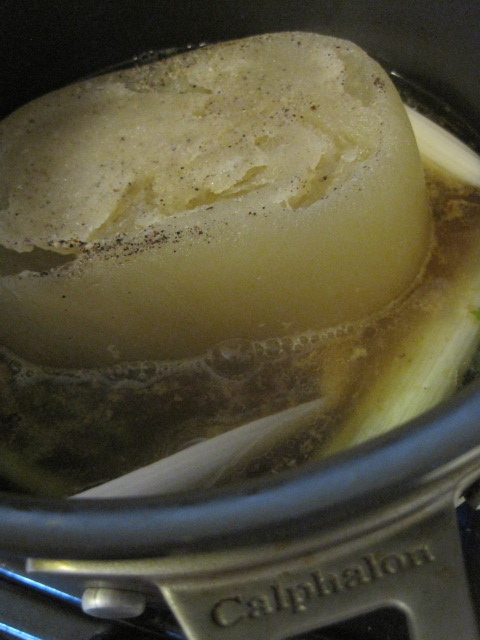 Sweat leeks (cook slow and low, without browning) until soft. 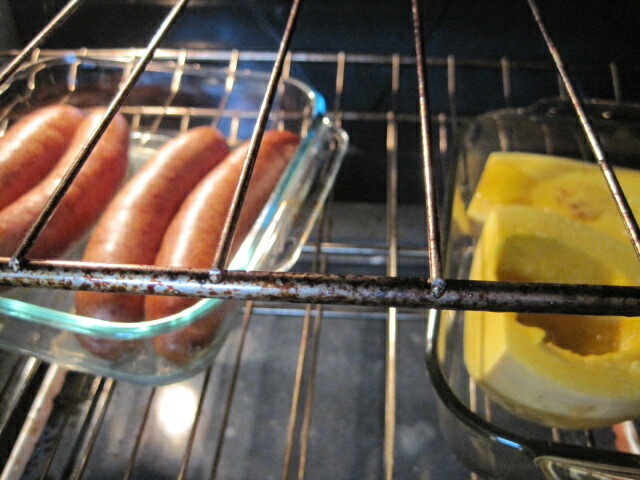 Add squash and parsnips and cook 2-3 minutes. 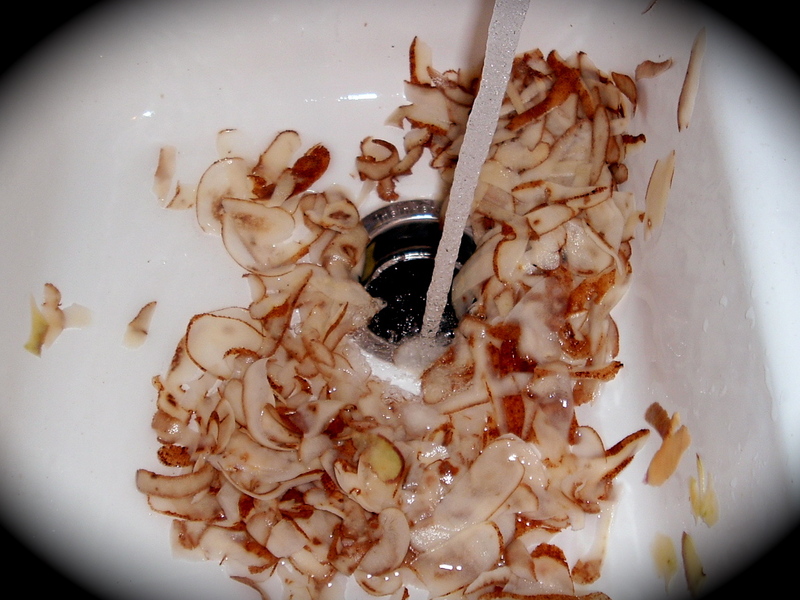 * If using finely chopped ginger, add 1 tsp or to taste now. Add thyme. Add liquid and bring to a boil, then reduce to a simmer. Add barley. Cook 30-40 minutes or until vegetables have softened and barley is cooked. Mash with potato masher until soup’s texture is uniform but still slightly chunky. 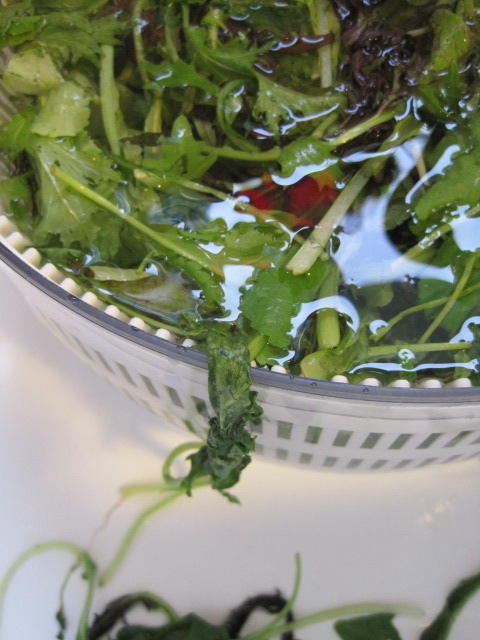 Add lemon and vinegar, aromatics (parsley, chile powder, etc.) if desired, and salt and pepper to taste. Adjust as needed. Garnish as desired with spice, creme fraiche, and/or cheese. *I add salt late and I like less than other people. Conventional cooks [Ed: including yours truly, Culinaria Eugenius] would add some salt at the beginning, say 1/4-1/2 tsp, to help break down the vegetables. As I mentioned a couple of weeks ago, I was the delighted recipient of 20 lbs. of freshly harvested Oregon cranberries this year. At a dollar a pound, plus a few bucks for gas, how could I resist? But cranberries are nothing but ill-timed for the academic. I am plumb out of energy at the end of the term. This is the first year in many we won’t be having a big Thanksgiving party, and my husband’s new diet means he won’t be wanting his favorite stuffing and mashed potatoes, so the chances of me making a Thanksgivingish dinner for us are slim. Yes, a lean year chez Levin. This means my old standby, punchy cranberry sauce, a long-cooked version treasured by me, myself, and I, may not make it to the table this year. Going into my crazy cranberry glut, I had figured on that. I planned to turn most of the little darlings into dried cranberries for year-round use in salads and sweets. Which I did, making a holy mess in the process. They stubbornly refused to dehydrate and I stubbornly refused to cut each of them in half, so we battled for several days until some were sort of dry, then I boiled me up some simple syrup (a 1.5:1 ratio of sugar:water) and plunged the Rebels in to meet their sweet maker. I had received the advice from someone who had achieved “perfect Craisins” from this method, but whomever she was, she forgot to tell me that it also made sticky, drippy, half-smushed berries that had to be pried off the drying mats not once but twice. And I am almost positive she hadn’t battled with 10 lbs. of cranberries when achieving such perfection. My stove looked like something alive had exploded all over it. Something syrupy and gluey and alive. Bah. And you can see from the above picture that my judgment was seriously off when I decided to make cranberry juice out of another 4 lbs. of berries. It would be a tight squeeze, I had thought, but I could make a double recipe of kissel, a Russian cranberry juice inspired by that made by Vitaly Paley’s grandma, in my biggest stockpot. I was so taken by the lovely image of kissel in a crystal pitcher nestled among bottles of vodka on the Paley family holiday table, I didn’t calculate the volume properly. One of those tactical mistakes that you realize immediately after it’s done: cranberries float. Cue more red, dribbly juice all over everything. But the juice is absolutely wonderful: dense and crisp and crimson and silky. 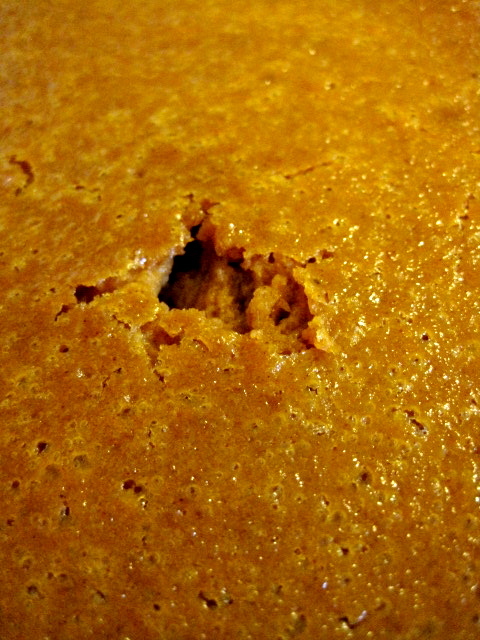 The pectin in the berries and unfiltered pulp make it slightly thick and filling. I doctored my juice with a couple of cups of unsweetened quince juice (frozen last year) and a healthy sprig of rose geranium. There was enough to freeze (or can, had I not fled town for that conference immediately after making the juice). I highly recommend making cranberry juice if you have never done it. Just use a big enough pot. 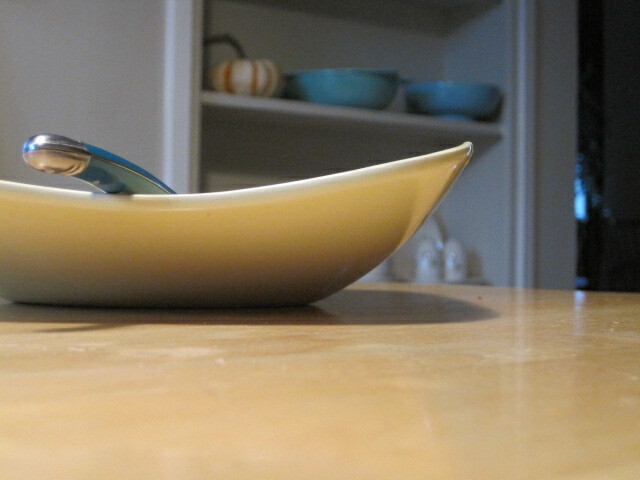 The recipe below was inspired by The Paley’s Place Cookbook recipe and another in the Ball Blue Book. It is so safe to can the BBB doesn’t even bother with exact measurements over a 1:1 ratio of cranberries:water, noting you can add sugar if you like. 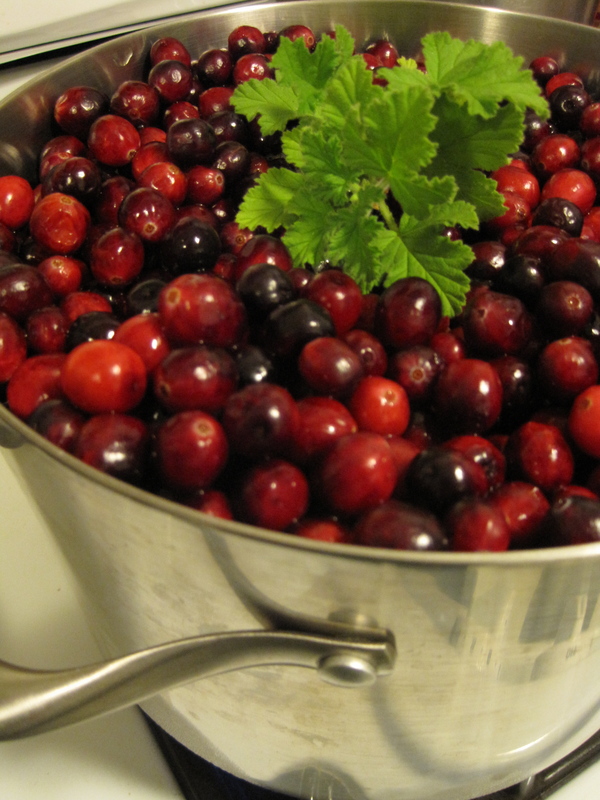 Cranberries are highly acidic little monsters, so no need to worry about botulism. And because the juice is so lovely and pectin-rich from the cranberries and quince, I may just make a cranberry jelly after all. I think my stovetop still has a couple of clean places left. And if I hit the vodka-cran hard enough, the bloodshed won’t bother me a bit! Important note: you might want to add more sugar to the recipe below. I wanted to keep it as low sugar as possible for my husband’s diet and flexibility with cocktails. You also might choose to add a few teaspoons of simple syrup to the juice before drinking if you like it sweeter. Serve it ice-cold, preferably with vodka and a thick slice of orange peel whose oils have been urged along with a quick flame from a match. Strain juice through a colander to remove the pulp. Discard rose geranium sprig, if using. Solids can be frozen, turned into a cranberry sauce of sorts, and/or spread thickly on a drying sheet with your drying cranberries, dripping juice all over the dehydrator and making even more of a mess that will result in a delicious cranberry fruit rollup to eat with cheese. Taste juice and add more sugar as necessary. Strain again (and yet again depending on your patience) through double-layered cheesecloth or a jelly bag to remove remaining solids. If you have hopes of clear juice, place juice in refrigerator overnight and let sediment settle to the bottom of the bowl. Carefully ladle only the top layers from the bowl. Juice will keep refrigerated for 2 weeks or frozen for 12 months. To can juice instead of freezing: prepare pint or quart jars and lids and heat jars. Heat juice for 5 minutes at 190 degrees (don’t boil). 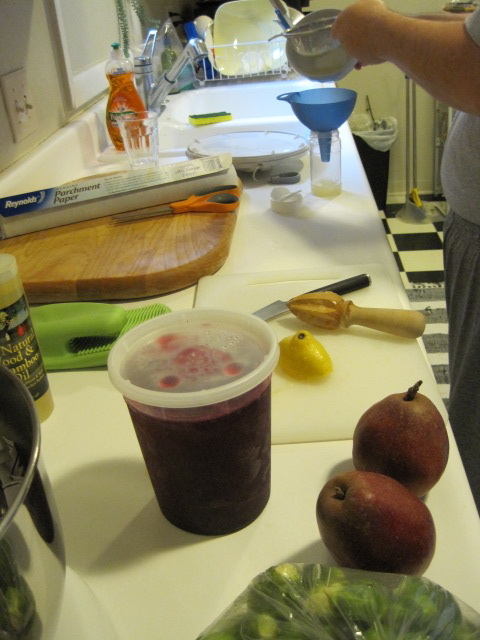 Ladle hot juice into hot jars, leaving 1/4-inch headspace. 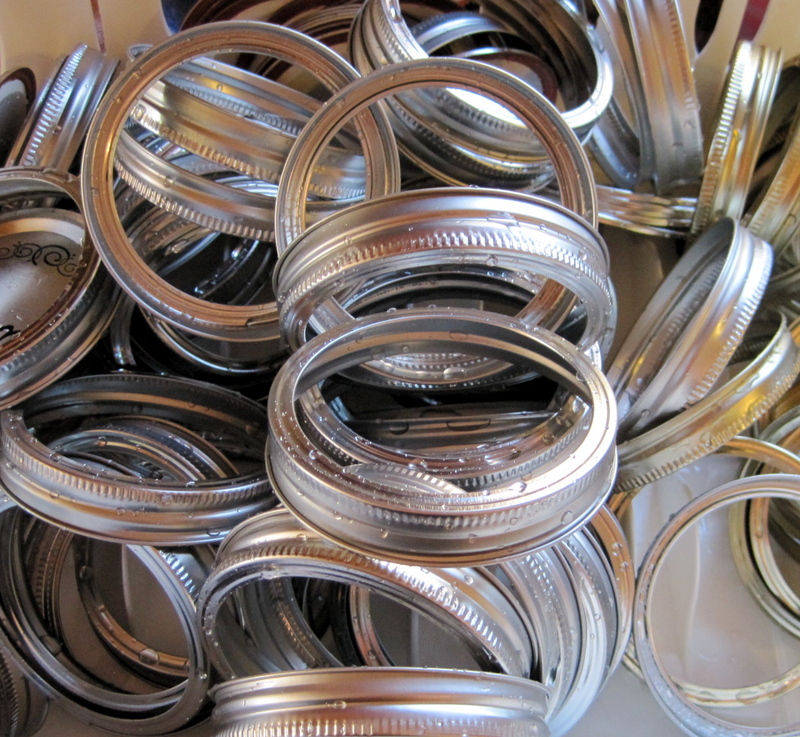 Wipe rims carefully and adjust lids and rings, turning rings until finger-tight. Process pints/quarts 15 minutes in a boiling water canner. 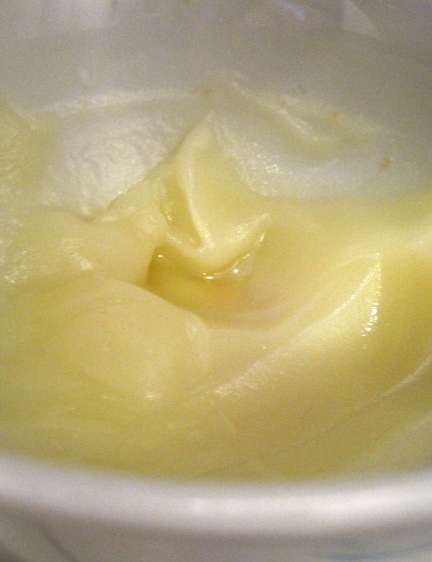 *I had a note about the possibility of gelling, but I haven’t successfully boiled the juice to a gel set, so took it out. I have canned quarts of the finished product, and did not achieve a gel in 15 minutes, so perhaps this instruction was too cautious or relied on using more sugar. 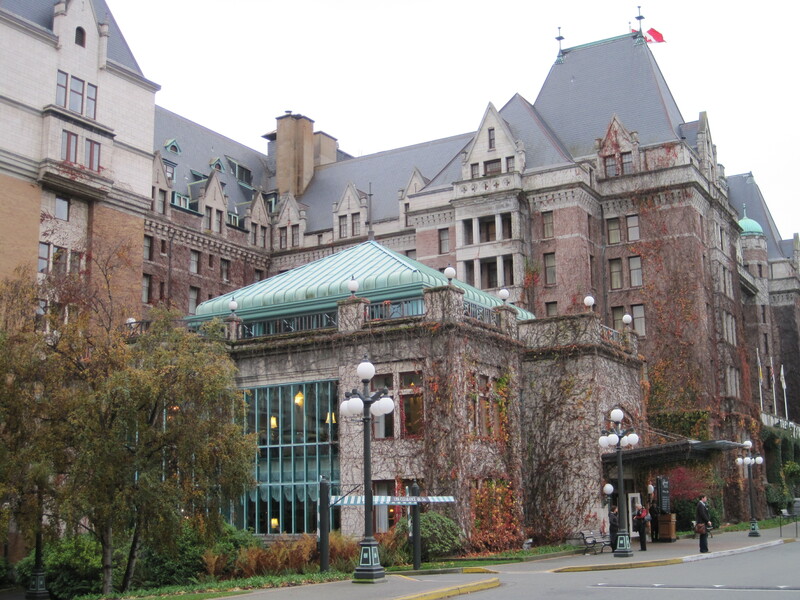 I’m at a literature conference in Victoria, B. C., experiencing the fruits of colonialism. No, that’s not me and my friends. 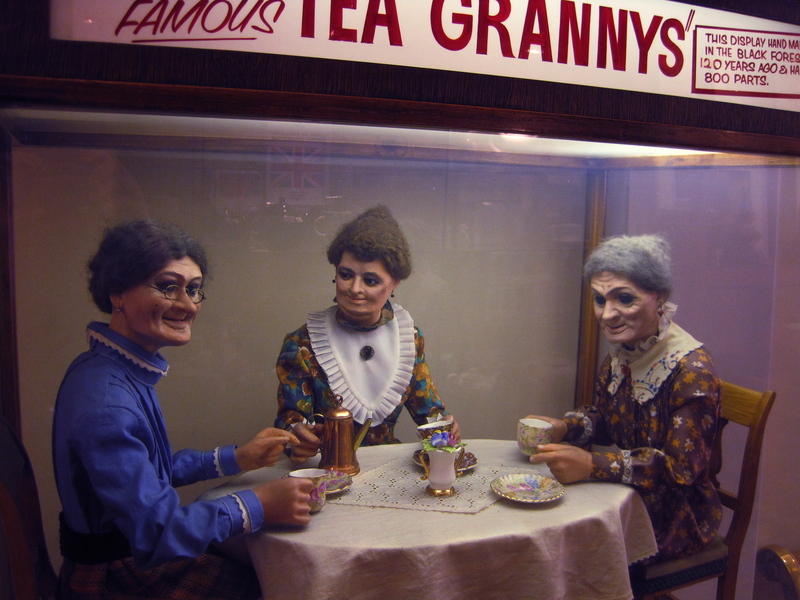 It’s an old tea mechanical puppet box from Murchie’s. But I’m in a lovely old hotel and a town that has been properly British Empired. Irish woolen stores, tea shops, Scottish bars, Indian curry buffets. If it’s colonial, they’ve got it. 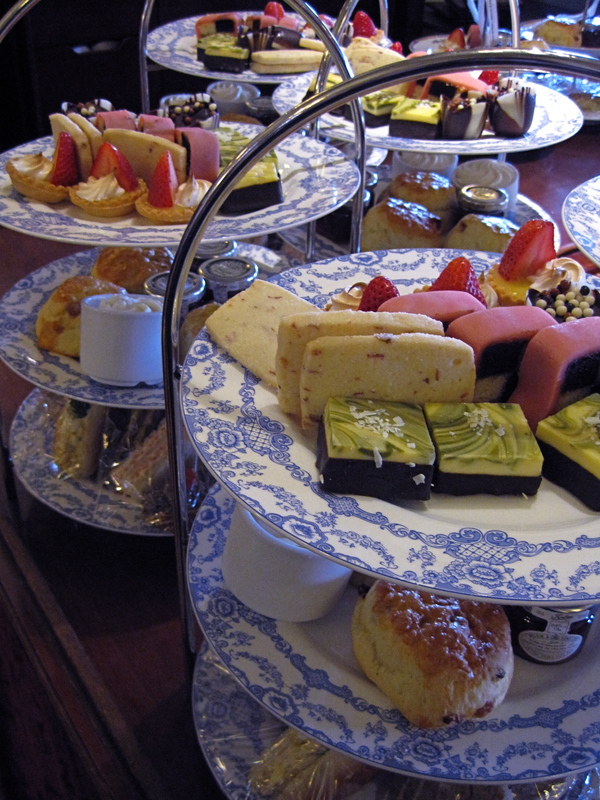 I thought I’d give you an image of the real life of a professor drinking tea in Victoria. Is this the tea she drinks? 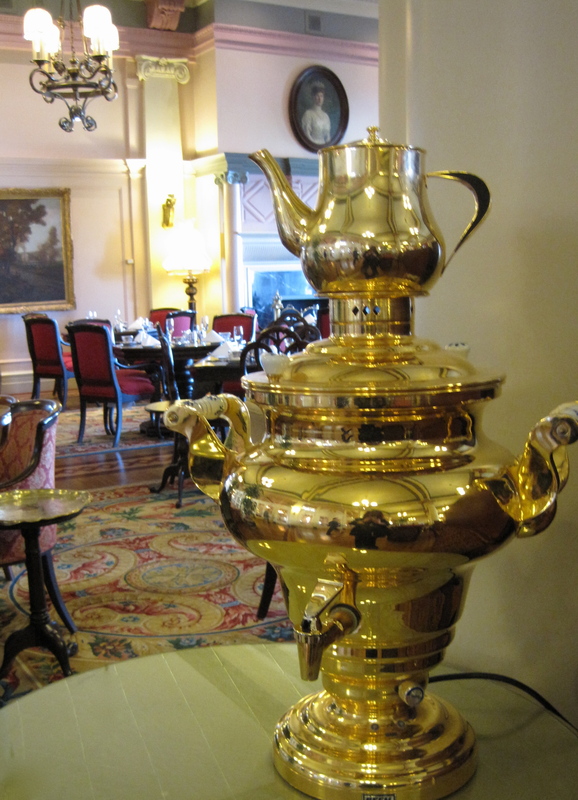 Out of a samovar? In a porcelain cup? Reclining on pillows and draped in chintz, soft classical music playing as she chooses a single delicacy from a silver platter? It is not. 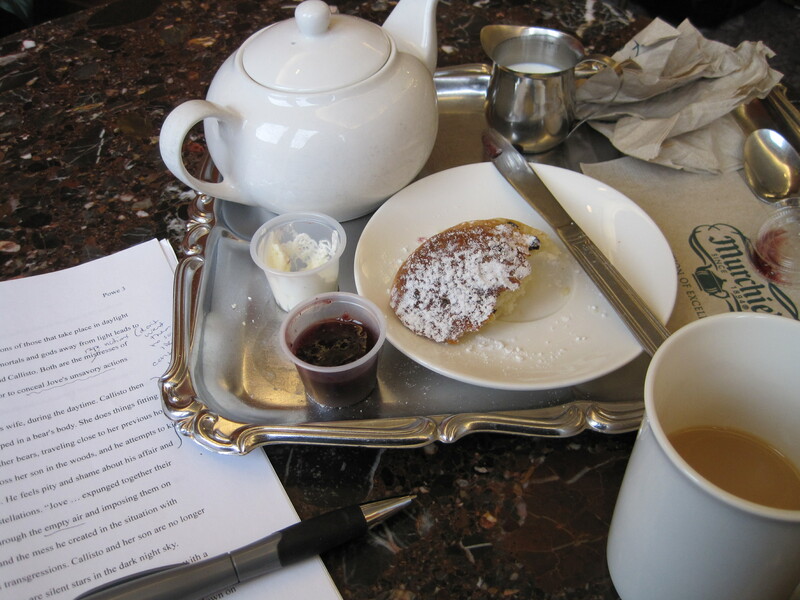 She drinks a nice assam out of an Ikea mug with a plump currant scone with cream and jam, though, while she grades papers on a break from conferencing. Perfectly happy with plastic cups, paper napkin, stainless steel tray, $4.25. 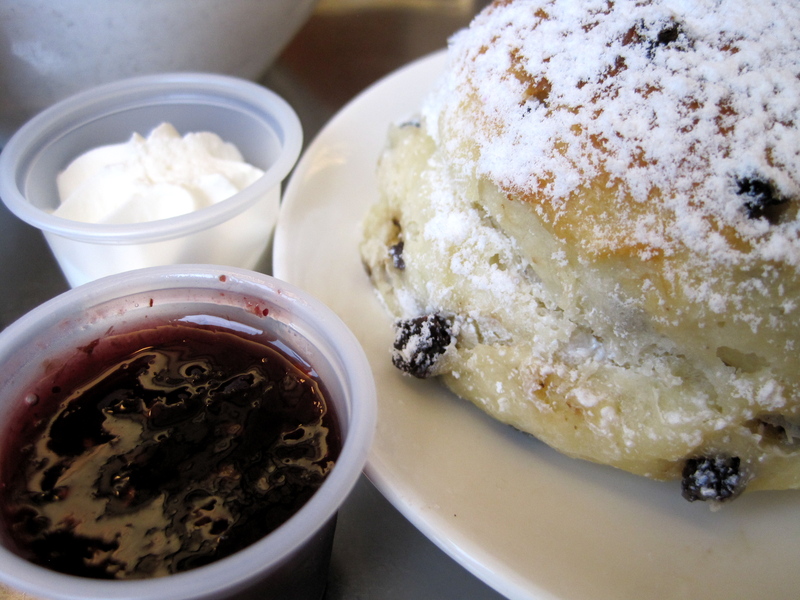 Because she can’t afford an afternoon tea that costs $60. Egads. 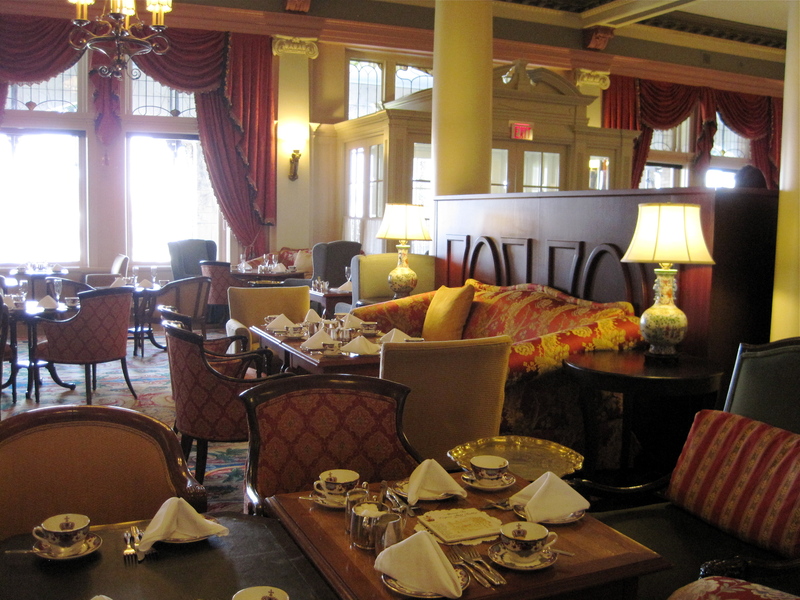 And that is the life of a professor drinking tea in Victoria, B.C.